Born into a family that spans five generations of fine residential construction in Middle Tennessee, Williamson County native Brandon Jenkins launched Grove Park Construction in 2005, building a few houses at a time and developing his own reputation for a focus on personal service, quality construction and attention to detail. “The beauty of custom construction is that we’re only limited by our customers’ imaginations, and the way that our architects, designers and suppliers can shape those ideas,” Jenkins says. Over the course of ten years, the company has built hundreds of custom luxury homes, with most ranging from 4,000 to 22,000 square feet and $700,000 to $7.5 million. Homes are currently under construction in neighborhoods including Vocé, Avery, Johnson Cove, Hillsboro Cove, Callie Ann Reserve & Governors Club in Williamson County, as well as in Belle Meade and Green Hills. 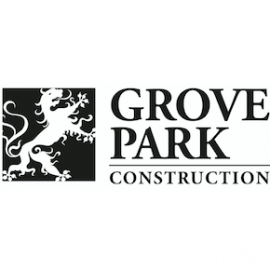 Grove Park works with customers from the selection and purchase of a lot through the design, sourcing of materials and construction of the home. The company tailors solutions to each client, helping to guide them through this new era in the housing industry. Everything about a custom home is engineered to the client’s wishes, from closet size to kitchen layout and everything in between. Projects have included indoor basketball courts, glass-ceiling wine cellars, app-controlled shower spas and media rooms that deliver a world-class sensory experience.